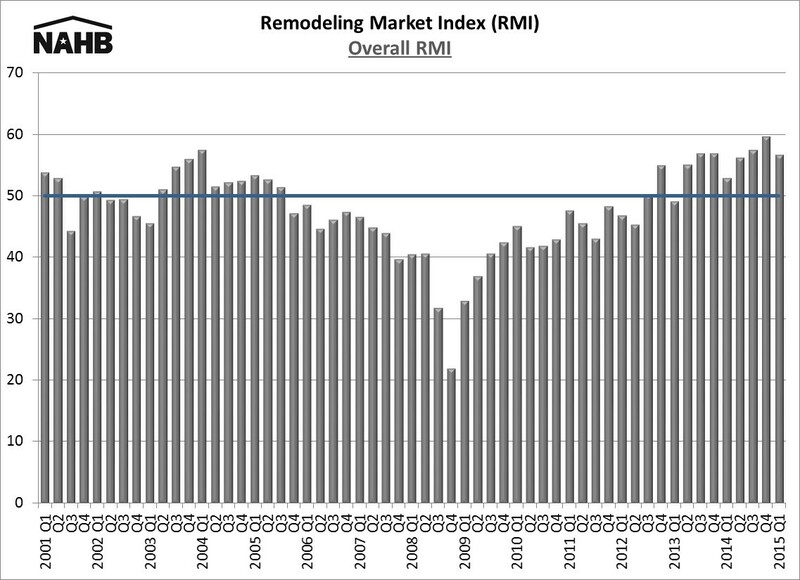 For more data, including the full history of the RMI and each of its components, see NAHB’s RMI web page. 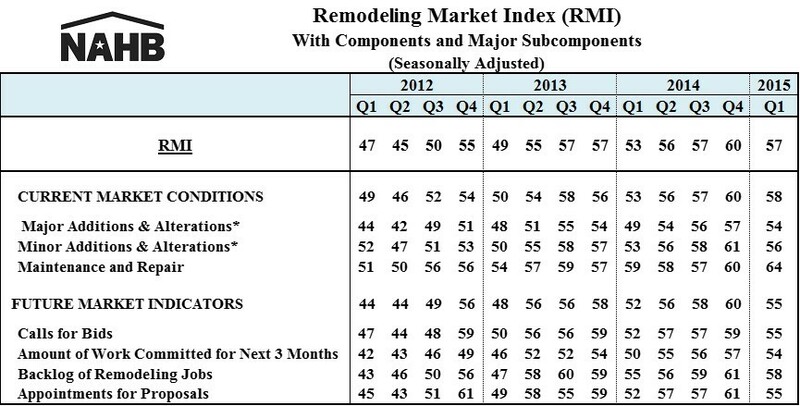 For more information about remodeling, see the page for NAHB Remodelers. ‹ Spring for Existing Home Sales in America?